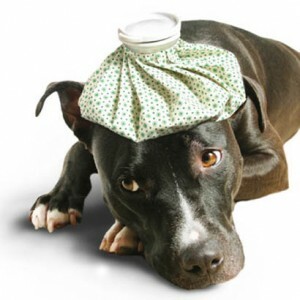 Worried about feeling sick as a dog? You might be experiencing health anxiety, an umbrella term which is associated with several different underlying conditions. Think about the most significant health scare you have ever experienced. Then multiply this experience by a factor of about 10. Unfortunately, this is a daily reality for many individuals suffering from health-related anxiety, a debilitating condition that can have devastating effects on one’s mood, relationships, and ability to function in academic and professional settings. a diagnosed, progressive medical condition (e.g., worry about advancing symptoms of Alzheimer’s disease). a diagnosed medical condition that requires management and/or health behavior changes (e.g., anxiety following a diagnosis of diabetes or after experiencing a heart attack). a diagnosed chronic medical condition (e.g., worry about learning how to manage chronic pain). a diagnosed, single episode medical condition (e.g., fear about the reoccurrence of an injury). If you have never experienced serious physical illness, the impact of an unexpected health scare may be difficult to appreciate fully. Serious illness can highlight your own mortality and profoundly alter your worldview. A life that previously felt long and full of potential comes to feel fragile and tenuous. Confusion, hopelessness, and depression often follow. a constellation of unexplained physical symptoms (e.g., aches, pains, nausea, tingling sensations) that might represent a currently undiagnosed medical condition (e.g., worry that one might have cancer, AIDS/HIV, ALS, Parkinson’s Disease, etc. despite not having significant medical signs of the illness). fear of getting sick or experiencing “intolerable” physical symptoms of illness (e.g., intense fear that one would not be able to “handle” symptoms like nausea, vomiting, diarrhea, etc.) in the absence of current symptoms. residual fear about the possible reoccurrence of a disease or illness. fear about catastrophic outcomes that might occur if one were to contract an illness. fear of heightened vulnerability or susceptibility to disease or illness. In such cases, it is not uncommon for the individual to take drastic steps to preserve their health and/or to obtain an accurate diagnosis. In these cases, individuals may consult with many different doctors (including multiple specialists), undergo many different diagnostic procedures, take many vitamins or supplements, spend significant time researching possible explanations for symptoms, avoid contact with sick people, engage in frequent use of hand sanitizers, engage in frequent hand-washing behaviors, and practice other pro-health behaviors. Although these behaviors are adopted to reduce disease susceptibility and health-related anxiety, they can have the unfortunate effect of paradoxically reinforcing and strengthening the underlying fear. How is health anxiety diagnosed? Health anxiety, per se, is not a formal diagnosis. In fact, symptoms of health anxiety may be due to one of many different etiologies. In some cases, worry about getting sick reflects part of the natural process of recovering from a serious illness. It is scary at first, but this fear diminishes with time and experience. In other cases, health-related anxiety might reflect an underlying anxiety disorder or somatoform disorder. Common diagnoses associated with health anxiety include OCD, panic disorder, agoraphobia, anxiety disorder NOS, adjustment disorder, somatization disorder, and hypochondriasis (among others). How is health anxiety treated? Treatment of health-related anxiety depends on the specific underlying condition (if any). As such, the first step is obtaining an accurate (mental-health related) diagnosis from your doctor, psychologist, or psychiatrist. This diagnosis then guides treatment selection, which should involve using the best available research evidence to select an appropriate evidence-based treatment protocol. In many cases, cognitive-behavioral therapy (CBT) will be indicated, but CBT approaches are often modified on the basis of the specific diagnosis being treated. …or continue the discussion on Facebook, Twitter, or Google+. Dr. Steven Seay is a licensed psychologist in Florida & Missouri. He currently treats patients throughout South Florida, including Palm Beach Gardens, Jupiter, West Palm Beach, Boca Raton, Boynton Beach, Fort Lauderdale, & Miami.